1 1/2 x 4 x 6 in. 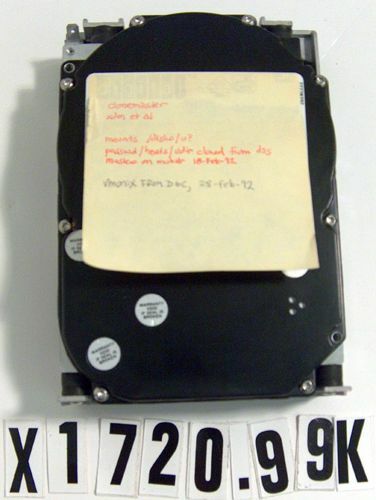 Post-it Note on object reads: "clonemaster xdm et al Mounts /disk0/u? Passwd/hosts/udir cloned from dss Masters on muh Hr 18-Feb-92 vmunix from DGC, 28-Feb-92."